Shop online for over 500 hobbyboss plastic models at discounts up to 57%. Airplanes is the most popular of the 6 hobbyboss plastic models categories, then Cars / Trucks / Vehicles, and Ships. 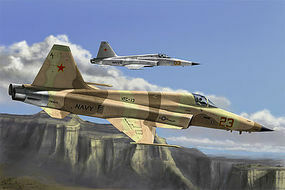 This is the 1/72 Scale F-5E Tiger II Fighter Plastic Model Kit from Hobby Boss. Suitable for Ages 14 & Up. 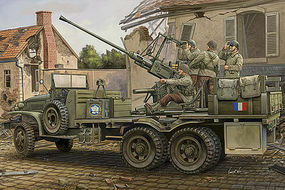 This is the 1/35 Scale GMC Bofors 40mm Gun Plastic Model Kit from Hobby Boss. Suitable for Ages 14 & Up. 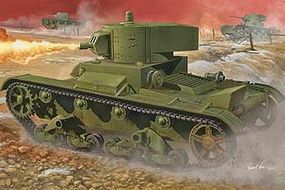 This is the 1/35 Scale Soviet OT-130 Flame Thrower Tank Plastic Model Kit from Hobby Boss. Suitable for Ages 14 & Older. 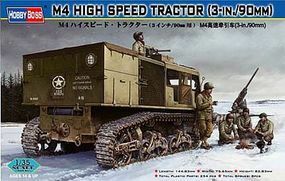 This is the 1/35 scale M4 High Speed Tractor (3-in./90mm) Plastic Model Kit from Hobby Boss. Suitable for Ages 14 and Older. This is the 1/350 Scale USS Arizona BB-39 (1941) Plastic Model Kit from Hobby Boss. Suitable for Ages 14 & Older. This is the 1/700 scale USS Arizona BB-39 (1941) plastic kit from Hobby Boss by Squadron For ages 14 years and up. 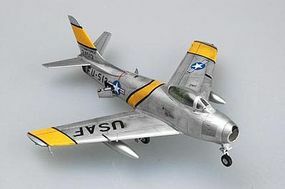 This is the 1/72 scale F-86F-30 Sabre Easy Assembly Authentic Kit by Hobby Boss. Suitable for Ages 14 & Older. This is the 1/72 Scale Easy Build Me262A-2a Messerschmitt Plastic Model Kit from Hobby Boss. Suitable for Ages 14 & Older. This is the 1/72 Scale MiG-15bis Fagot Plastic Model Kit from Hobby Boss. Suitable for Ages 14 & Older. This is the 1/350 Scale USS Virginia SSN-774 Plastic Model Kit from Hobby Boss. Suitable for Ages 14 & Older. This is the 1/72 Scale T-6G Texan Plastic Model Kit from Hobby Boss. Suitable for Ages 14 & Older. This is the 1/72 Scale Fw190A-6 Plastic Model Kit from Hobby Boss. Suitable for Ages 14 & Older. This is the 1/72 Scale F4U-4 Corsair Plastic Model Kit from Hobby Boss. Suitable for Ages 14 & Older. This is the 1/72 Scale P-47D Thunderbolt Plastic Model Kit from Hobby Boss. Suitable for Ages 14 & Older. This is the 1/72 Scale P-38L-4-LO Lightning Plastic Model Kit by Hobby Boss. Suitable for Ages 14 & Up. This is the 1/72 Scale P-61B Black Widow Plastic Model Airplane Kit by Hobby Boss. This is the 1/700 Scale USS Los Angeles SSN-688 Plastic Model Kit from Hobby Boss. Suitable for Ages 14 & Older. This is the 1/48 Scale P-47D Thunderbolt Fighter Plastic Model Kit from the Easy Assembly Authentic Kit Series by Hobby Boss. Suitable for Ages 14 & Up.